Thanks to its starring roles in Hollywood blockbusters such as James Bond films, Craps is a popular dice game with a glamorous image. Craps is known for its complicated rules and complex betting structure, as well as its multi-layered gaming experience. Fast-paced, exciting, and boasting multiple ways to hit a win, the craps game consists of two stages and a variety of bets that can be multi roll, or single roll, as well as added to the game or removed at will . With low minimum bets available, Craps also offers good value for money to players that prefer low stakes. Games are available around the clock and a number of casino games bonuses are available for online craps players, such as our 100% Welcome Bonus of up to £/$/€100 (plus 200 spins). Craps originated from a historical dice game called Hazard that was played in England during the time of the Crusades. 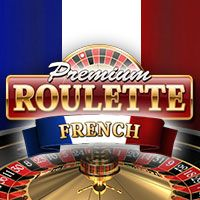 When the game travelled to France, it quickly became a favourite with street gamblers and was given the new name of ‘Crapaud’ as it grew in popularity. Travel became easier and as a result, exposure to Crapaud expanded on a global scale, finally reaching America where it transformed over a period of time into the Craps game played today. During the Second World war, Crapaud became extremely popular – as a simple dice-based game it was easy to transport to the trenches, and the rules gave soldiers something to concentrate on in the long periods of waiting. When the war ended, Crapaud continued to grow in popularity. It was soon adopted by casinos, where the rules were amended and a huge table on which to play it was created. At this stage a new name was once again adopted – Craps. The complexity of Craps proved a huge draw for players looking for something different. The unusual betting structure and multi-layered rules were unlike any other of the casino games that people were used to. However, the size of the table proved a physical issue and so limited games were on offer, with more players wanting to play than games were available. Another issue due to limited capacity was that the minimum stakes were raised, further alienating some potential players. Things improved for players when the internet was invented, and online Craps games became available. 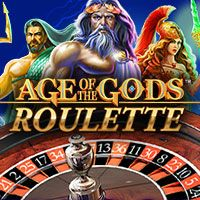 These games offered round the clock action, as well as lower minimum stakes, alongside a variety of special rewards such as casino bonuses, making it an affordable and convenient option for all players. Offering something a bit different from other popular casino games, Craps continues to grow as the discerning choice for players looking for a truly thrilling and multi layered game. Understanding the game of online Craps depends on you taking the time to learn the basics; which bets you can place at what time. You need to start by learning to recognise what stage of the game is in play, as well as each of the bets that you can place during each stage. The most important online Craps bets to learn before you begin to play are the Come Bet, the Don’t Come bet, the Pass Line bet and the Don’t Pass bet. The two game stages that you need to become accustomed to are the Come Out roll and the Points roll. 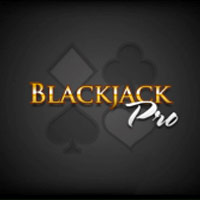 Once you invest time in understanding these basics, you will have learned enough to be able to start playing, and you can go on to learn additional, more complicated bets as you practice the game. When you play online Craps, you play with a pair of dice. 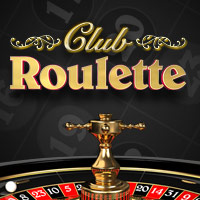 The game begins with the Come Out roll – you can easily recognise this by searching out the dealer button: it will be turned to ‘Off’. During this initial roll, the shooter tries to establish a point by rolling the dice to a total of 4, 5, 6, 8, 9 or 10. As a player, there are specific wagers you can place at this time – the Pass Line bet and the Don’t Pass bet. The Pass Line bet wagers that instead of a point, the shooter will roll a 7 or 11 on the Come Out roll. You win if this is the outcome of the Come Out roll. However, if a dice roll totaling 2, 3 or 12 is the result, you lose your bet. There is also the possibility that the shooter establishes the point; in this instance, this becomes your point and the shooter continues to roll until one of two things happen - either the point or a 7 is rolled. If the point appears first, your Pass Line bet wins, but if a 7 appears first, it loses. The Don’t Pass bet is the opposite of the Pass Line Bet and is also only played on the Come Out roll. The Don’t Pass Bet loses if the shooter rolls a 7 or 11 instead of the point, and it wins if a point total of 2 or 3 is rolled. When you place this bet, a 12 is considered a draw, and your wager is returned to your bankroll. As soon as the point is established, it is time for a points roll. 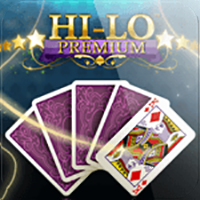 If you join mid game, you can recognise that the game has reached this stage because the Dealer Button will be marking a point and will also be switched to ‘On’. During the Points roll, players can make a number of bets, but you need to start with the Come and Don’t Come bets before learning any of the other, more complicated options. A Come bet wins if the shooter rolls a 7 or 11 and it loses if a 2, 3 or 12 is rolled. If a number is rolled instead, that becomes your point and you’ll win if your point is rolled before a point total of 7. A Don’t Come bet will win if a 2 or 3 is rolled, and will lose on a 7 or 11. 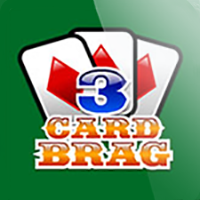 A 12 is considered a draw, with your wager returned to your bankroll. Additional bets for you to learn include the following: Buy bets, Any Seven, Any Craps Lays, Odds, Place, and Horn bets. Some of these bets are multi-roll, which means the outcome can be decided over several dice rolls. Others are single roll and depend on just one roll of the dice for their outcome to be decided. An interesting feature in all Craps games, not just those available in our online slots casino, is that some bets can be removed at will during the game. Practice your game using the basic bets outlines listed above and as your confidence grows, increase your knowledge by learning more of the betting options available to you. Craps is all about its complicated betting system, and like any other of your favourite casino games, the higher the odds of hitting the bet, the lower the payout. As you learn your online Craps bets and familiarise yourself with the game, check out the payout table to figure out a way to balance a range of low to mid-range paying bets and devise your own betting system. If you don’t want to hit the Real Money tables straight away, you can trial your strategy in Practice Mode first. An important element to consider when you’re playing any gambling game, is player odds versus the house edge. When it comes to your bankroll, online Craps is considered one of the best online games to play as it offers better odds overall. The house edge is much lower than other casino games, meaning you have a better chance of hitting a win. You can figure out how good the odds in your favour are by considering how easy it is to roll each specific number using two dice. The dice are restricted to a limited amount of number combinations, and some numbers have more possible combinations than others – e.g. it is easier to roll a seven (5+2, 6+1, 4+3 get the same result) than it is to roll a 2 (1+1 only). Whether the bet can be removed or not also has an impact on your odds of winning. If you want to enjoy our real money online craps games, you will need to open a Real Money account with us at Slots Heaven. 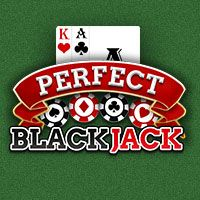 To get started, click on the Play For Real Money button and enter the required details on the registration page. Next, read and accept the terms and conditions, and then click Create to activate your account. 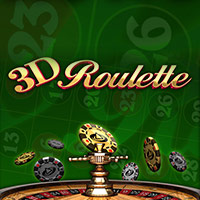 To access our casino games and play for real cash, you will need to deposit some funds into your account. 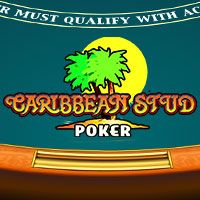 Our deposit options include Credit Card, Debit Card and online e-wallets, and as a new player you can also double your bankroll right away with a special 100% Welcome Bonus of up to £/$/€100 (plus 200 spins). As you make your initial deposit, a window will pop up offering you your bonus – simply hit accept to have your bonus money transferred to your casino account, ready to start playing! Use this glossary of useful terms to help you learn more about your online Craps game and navigate the casino and our software, so you can play your favourite games with confidence and competence. Any 7: this is a single-roll bet that predicts the shooter will hit a point total of 7 in the next roll. It pays out at 4-1. Any Craps: a single-roll wager that predicts the shooter will hit a point total of 2, 3 or 12 on the next roll. It pays out at 7-1. 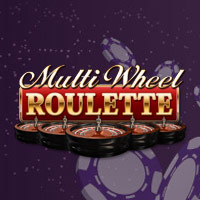 Buy bet: this multi-roll bet can be placed on numbers 4, 5, 6, 8, 9 or 10 – but it costs a 5% commission on your winnings. You win you Buy Bet if your number is rolled before a 7. 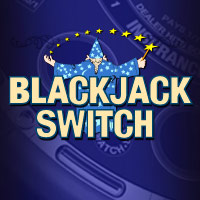 Come bet: only possible once a point is established and the dealer button is turned to ON, this bet wins when a 7 or 11 is rolled, and it loses when a 2, 3 or 12 is rolled. In the event that a 4, 5, 6, 8, 9, or 10 is rolled instead, that point must be rolled again before a 7 is thrown for the bet to win. Come out roll: this is the initial roll that kicks off the game. The shooter aims to establish a point by rolling a point total of 4, 5, 6, 8, 9 or 10. Don’t Come bet: a bet that can be placed once a point is established and the game is on a point roll. It wins if the shooter rolls a 2 or 3 and loses if a 7 or 11 is rolled. If a 12 is rolled, this is a draw and your wager is returned to your bankroll. Don’t Pass bet: a bet that can only be placed on the Come Out roll. The Don’t Pass bet loses if a 7 or 11 is rolled, and it wins if a 2 or 3 is rolled. 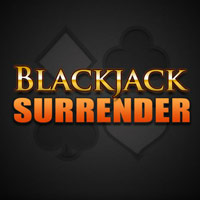 If a 12 is rolled, this is a draw and your wager is returned to your bankroll. Field bet: this bet wagers that the shooter will roll a 2, 3, 4, 9, 10, 11 or 12. The bet pays out at even money, unless a 2 or 12 is rolled, as these pay double. Horn bet: a four way wager across the following four numbers: 2, 3, 11 and 12. If any other number is rolled instead, the bet loses. Multi-roll bet: this refers to any bet that can be played over a number of rolls before the outcome is decided. Odds bet: placed in addition to a Pass Line or Come bet, this bet is special because it can be placed or removed at any time during the game after the Come Out roll. Pass line bet: one of the basic bets that any player should learn, this wagers that the shooter will roll a point total of 7 or 11 on the Come Out roll. If a 4, 5, 6, 8, 9, or 10 is rolled instead, that point needs to be rolled again before a 7 is thrown to win. Place bet: a multi-roll bet on 4, 5, 6, 8, 9 or 10. You win if your number is rolled before a 7. Shooter: the person rolling the dice – in a bricks and mortar casino, the shooter changes and is one of the players. Single roll bet: this refers to any bet that is decided on a single roll of the dice.